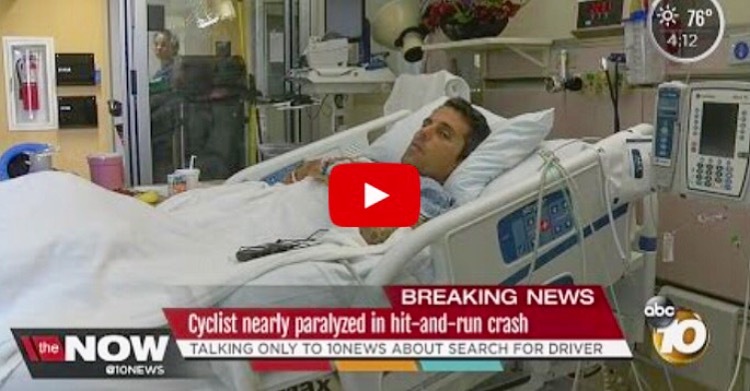 We are raising money to offer a reward for information that can lead to the finding and conviction of a HIT-AND-RUN driver who severely injured cyclist, John Abate. 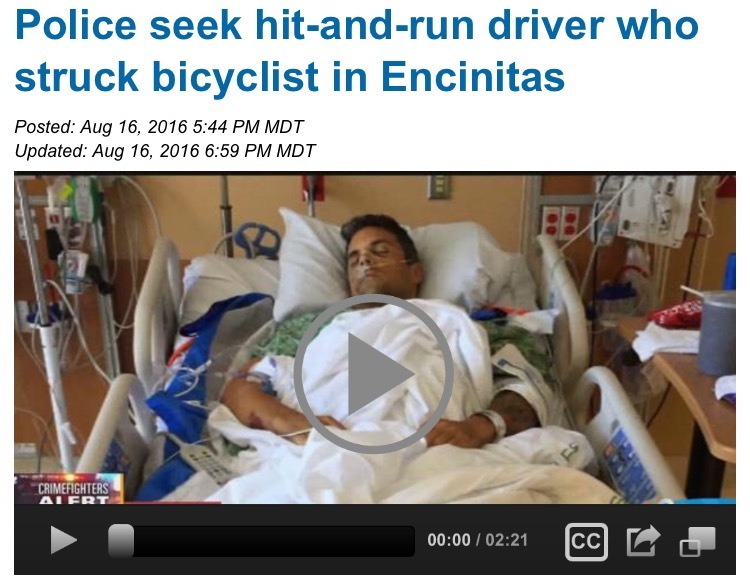 John Abate, an Encinitas local, was hit by a car on Sunday August 14th, around 6:45am, while riding his bike in the designated bike lane. This incident was a HIT-AND-RUN. 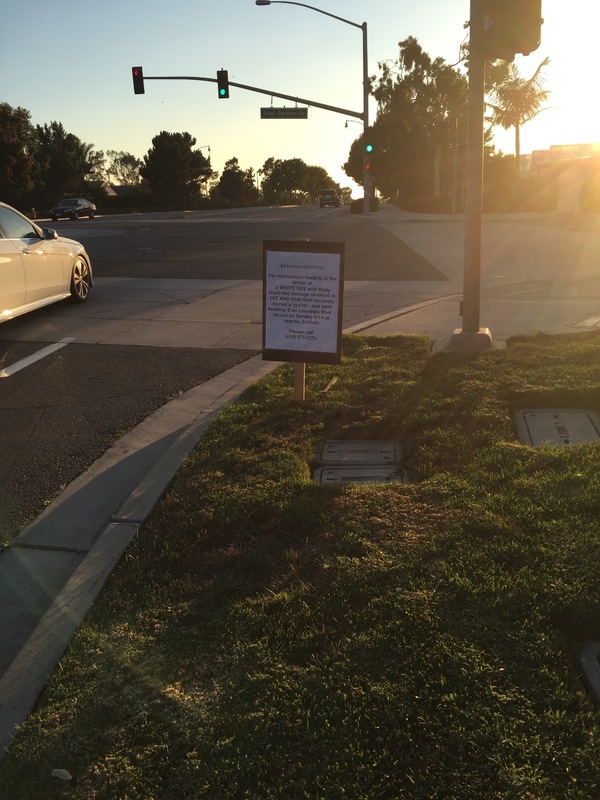 John was traveling East on Leucadia Blvd (just east of Quail Gardens intersection) IN THE BIKE LANE, with his friend when he was struck from behind and flew many yards in the air, finally landing in a bush on the curb. Signs have been placed in the area with information. He is currently in ICU at Scripps La Jolla hopital where he has already had surgery for a severe compound fracture in his tibia. He awaits spinal surgery today for fractures in his lumbar spine. 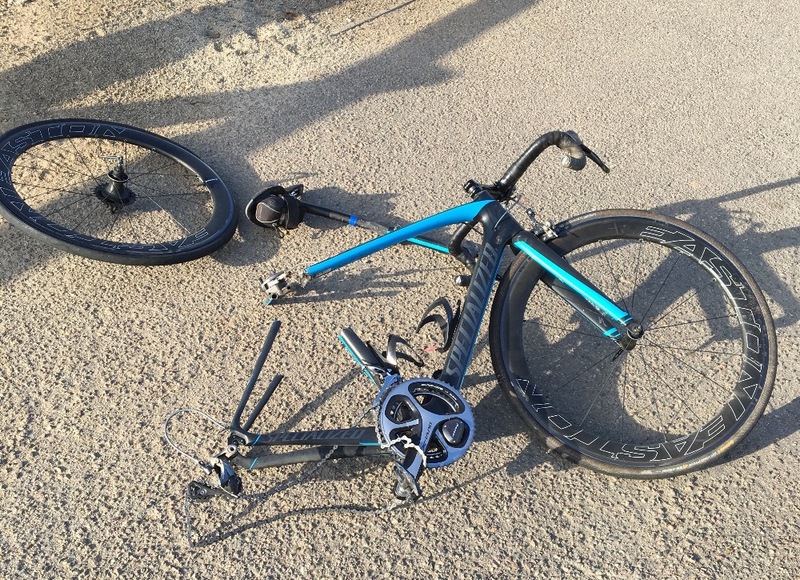 Additional injuries include: concussion, hematoma on head, lacerated liver, seperated shoulder, broken ribs, multiple abrasions and contustions. We are incredibly grateful and thankful for the overwhelming support that we have received on social media and through the community. We want to continue to momentum by offering a CASH REWARD for information leading to the finding and conviction of the driver. We are looking for a white OR light colored mid-sized vehicle. Crossover or SUV or small van. ANY vehicle with damage to the right side and front. Driver is medium build, short hair, most likely male. We will be offering refunds if we do not find and convict the driver. I will personally assure that anyone who has donated receives a refund, or can have the option to donate the money to John's medical expenses or another fund with similar concern. has been a huge help featuring this on iheart radio. We will announce this campaign on his show at 5pm tonight. 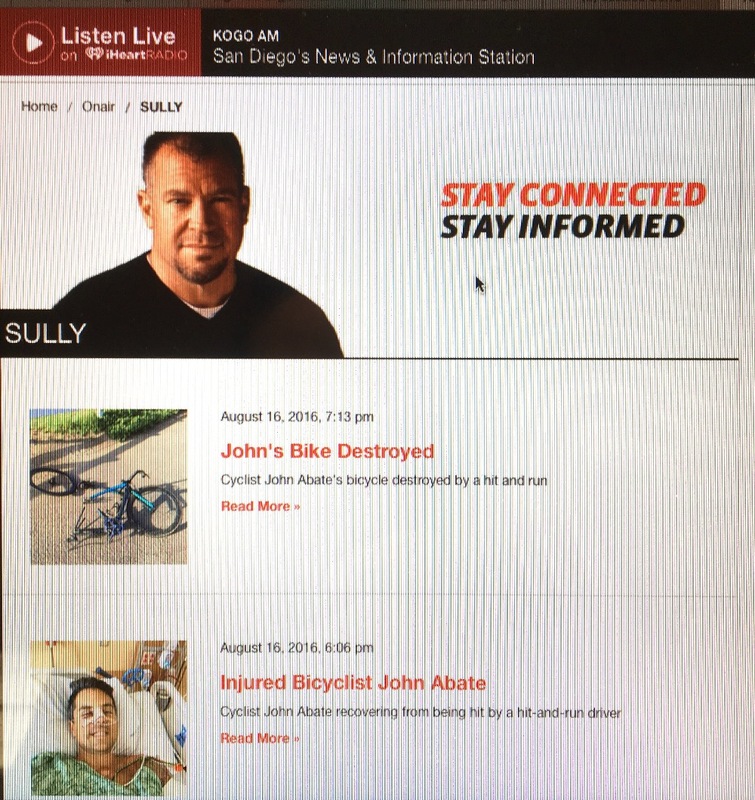 We have reached the 6 week mark of John's Hit-And-Run. I'm sure you have been paying attention on Facebook, but he got great news this week! He can start weight bearing on his leg, which will greatly improve his quality of life. Day by day, all of your support has been so helpful! We have done everything possible to look for the driver, between newspaper and TV media, posting signs, calling auto body shops, checking with business in the area, stake outs near the scene, etc. You wouldn't believe the amount of calls we've gotten from the signs, the community is on board. THANK YOU to all of you who have participated in those activities and for donating. However, we have come up short. At this time, we would like to take down the GoFund me. As promised, we will be happy to refund anyone who would like a refund to use the money for another cause. Otherwise, 100% of this money can and will be used for John's out of pocket medical costs. Please send me a message ONLY if you would like a refund. Otherwise, we are extremely grateful and blessed to apply this to medical expenses. If anyone comes forward in the future and wants the reward money we will make it available. This is John here with an update on my recovery progress. I hope this message finds you all well and in good health and happiness. 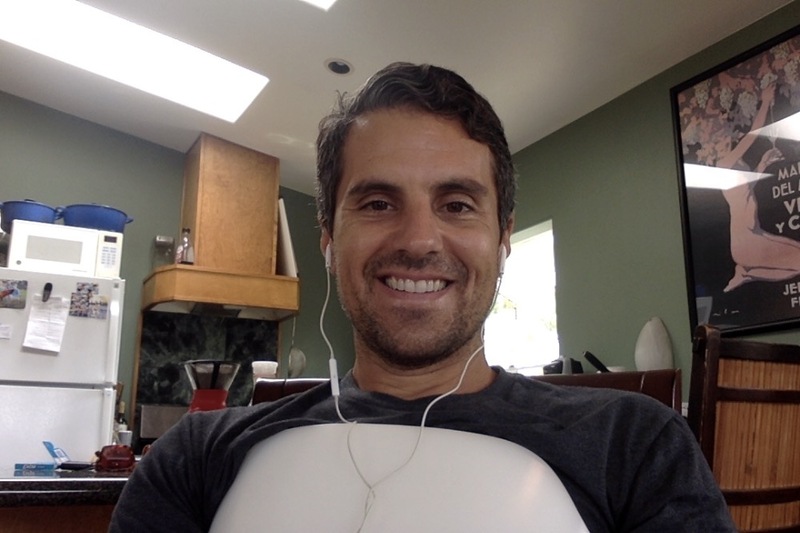 Each day I am feeling stronger and stronger while becoming more mobile around the house (Jess trained me well!). I am focused on staying positive in mind and continuing my daily prayer and meditation which keeps my spirits high and channels that energy towards my healing. I am eating as healthy as possible (with the occasional cookie or dark chocolate treats that some of you are sending!). All of your support and continued well wishes, thoughts and prayers have been so instrumental in my healing, so once again THANK YOU! Last Sunday marked three weeks since my accident. I have a total of 6 weeks before I go back in front of the Orthopedic surgeon for my follow up. I’m hopeful that at that time they will grant me the use of my left leg and so I can begin my physical therapy. My back is still another story. Having spinal fusion surgery, while giving me the best chance towards a full spinal recovery, does take quite a bit longer to heal so I’ll be rolling around in my “Tortoise shell” for many more months to come! I also wanted to take a minute just to share with you some thoughts related to riding safely and preventative measures while on the road. We must do our very best to always obey all of the traffic rules of the road. When we have been wronged by a motorist in any way, do your best to not freak out ... easier said than done I know, but keeping this in mind will always put us in the “right” and not further perpetuate any stereotypes already given to us by the driving community. We ride with our phones that have cameras, so simply take a photo of the car and license plate and forward on to the authorities if your rights have been violated. Arguing and ranting with a driver gets us nowhere and a 2000 lb vehicle always ends up winning that battle. Helmets at all times are a must, no matter the distance that we are riding to and from. Also, always let someone know your ride plan and estimated time of return. This is similar to anyone familiar with mountaineering or hiking in the backcountry, posting our ride plans to someone alerts them to anything that might seem wrong if we do not show up when we say we will. Lastly, invest the money in a good lighting system and at the very least use a good flashing light on the rear of your bike at all times of the day. 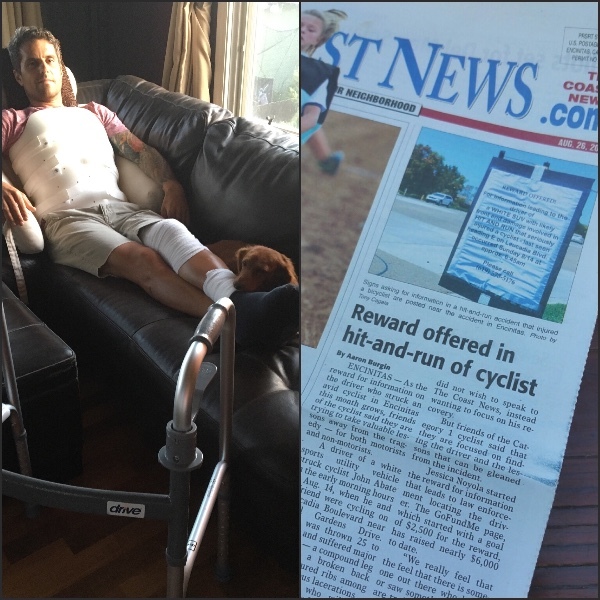 A very informative article about my incident and what we can do to prevent future incidents, was just published in the Encinitas Seaside Courier. Jess and I are also working with several organizations such as Bike-Walk Encinitas, to advocate for positive changes and education. Take good care of each other out there and be well! Happy Sunday Friends! It is for John! He's adjusting to being at home and I wish I could report that I'm his #1 nurse but Annabelle just edged me out...she won't leave his hurt leg. We know you are all curious about the search. We've sent many tips into the Sheriff and will continue to do so. With the help of all of you we've developed new search techniques as well. Huge thank you to Larry and Candice for making and posting these signs. The community is paying attention and contacting me. The Coast News (print and online) has done a nice story which touches on the issue that's most important to us now- we do want to find the driver, but we want change in our community and across the country. John's friend Kelly put it best "we need to slow down, and show a little compassion." Personally, I plan to continue to work with activists to push for education and legislation/law change. Let's work together to make this beautiful state that we live in safer and more conscientious. The way that you have embraced this issue, and have stayed vigilant in sharing the information, has made John so proud (and me). This is an issue we talk about a lot, and now that it's so real for all of us, the fact that so many people are uniting and taking action is amazing. As you may or may not have seen, John was brave enough to be interviewed by ABC10 San Diego. When I speak with him, the majority of his thoughts are about helping others, not wanting this to happen to other people, and he also asks lots of questions about all of you- wanting to make sure his friends are doing ok. THANK YOU for continuing to hope for and work towards justice. But more than that, thank you for spreading awareness through our community. If you have info on your buddy, co-worker or neighbor, anything suspicious, you can be incentivized with a healthy reward to come forward with information. 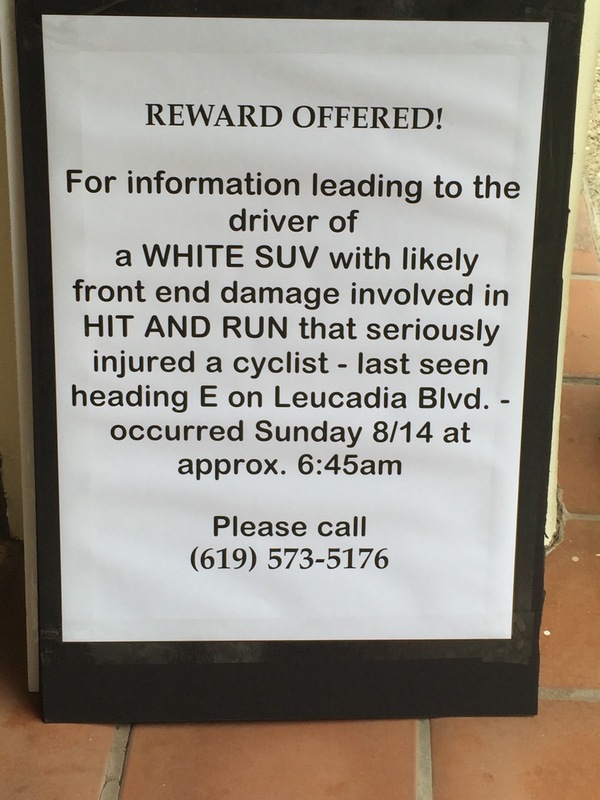 Remember the vehicle could be white or light/ SUV, crossover or midsize. Driver should be in jail...after being being run over. Many mutual friends hope they find him and healing thoughts going out to you! Happening way too much. 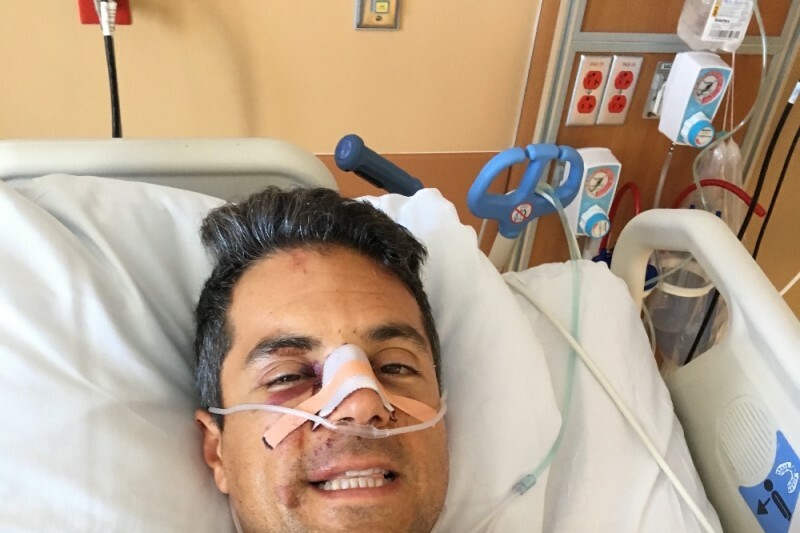 I was rear ended last May up in Palos Verdes while climbing. I was very lucky as I had only stitches in my elbow and usual bruising and rashes. Tarmac totaled. Driver stopped but she blamed me! Hope they get this person who did this to you. Get well my brother cyclist!